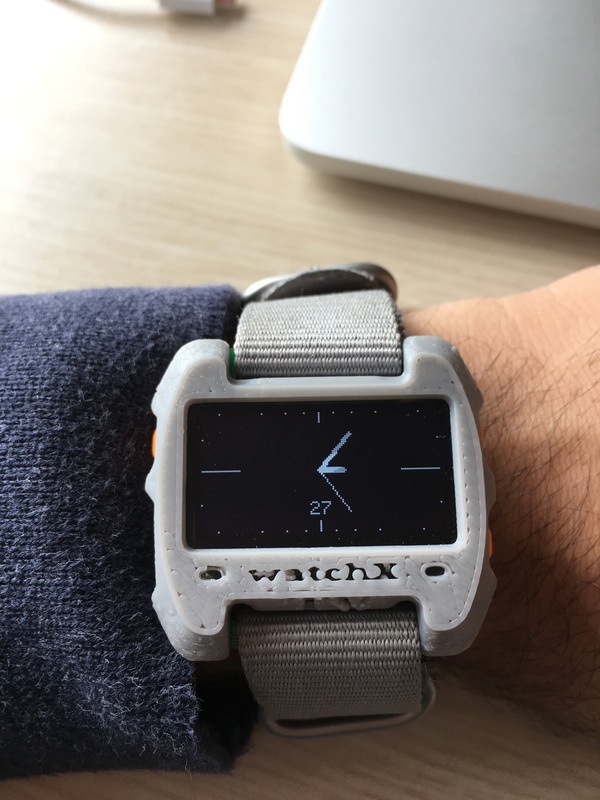 Last week I just wanted to make an analog watch face for my watchX. 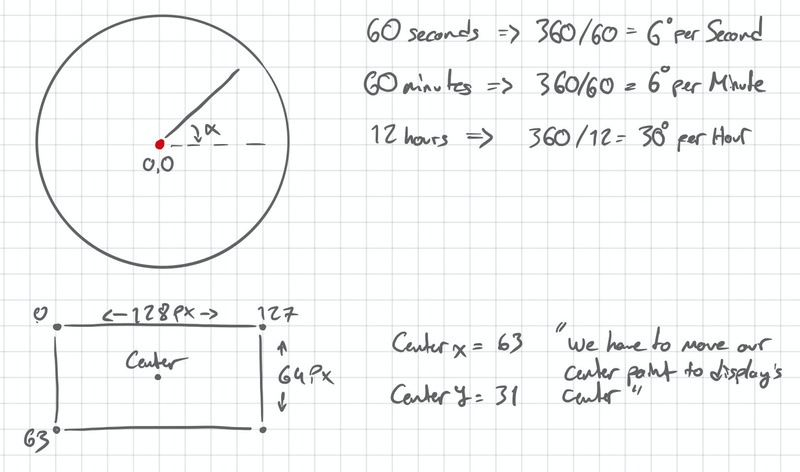 First I decided to get the maths behind it. It’s really simple. Just a couple of trigonometric calculations. Then, I put those equations into a simple code. Here is the main flowchart of the code. 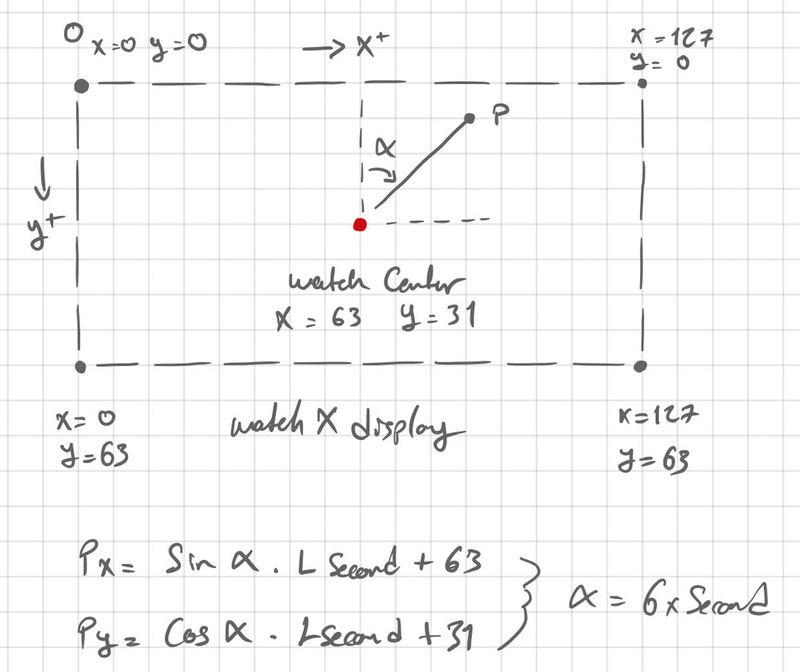 Calculate_Watch calculates the position of hands. 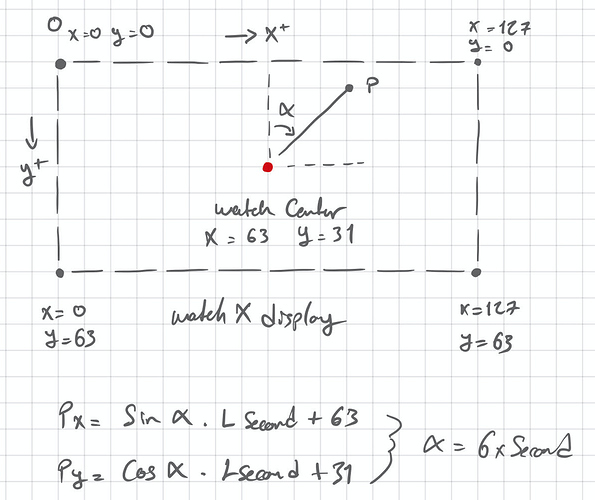 Draw_Watch includes drawing elements for the watch face. 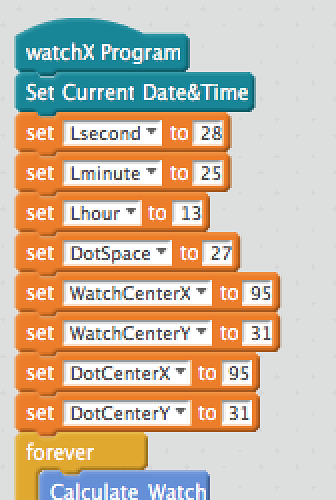 Draw_Dots_CircularForm is drawing the dots to indicate hours. Sleep is putting the watch into sleep mode for better power consumption. B3 wakes it up. And there are some other blocks that you can use as well. Draw_Dots_RecForm draws a more rectangular fashion watch face. 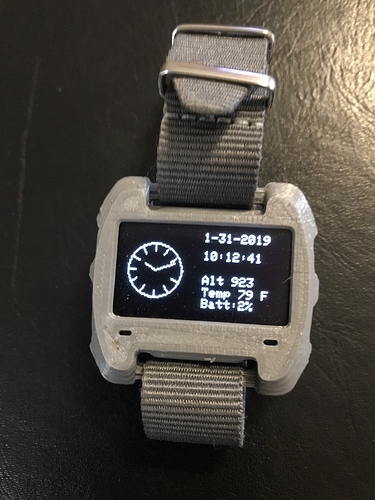 You can also modify it and make some different watch faces as well. I am looking forward to your implementation. Looks good (But has nothing to do with TapClock). This was a code that I’ve put together a couple of days ago. I am out of town right now but I will put the details as soon as possible. All of the posts in the old topic were moved to this one. The first post will be edited with the code development. This is mine that I did several months ago!